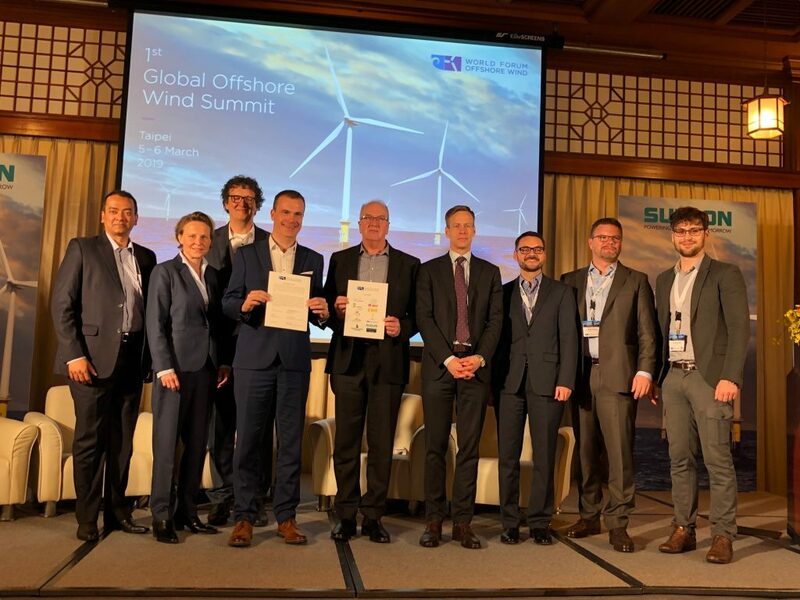 The WFO (World Forum Offshore Wind) has called for installation of 500 GW offshore wind power capacities worldwide by 2050, boosting the accumulated total to 520 GW. The nonprofit put forth the objective during a meeting held at the Grand Hotel Taipei, March 5 and 6. The organization pointed out that offshore wind power has been developing by leaps and bounds in recent years, with new capacities reaching 4.9 GW in 2018, which enhanced the accumulated total to 22 GW. The figure will rise further this year, given wind fields totaling 9.7 GW in capacities under construction or testing. 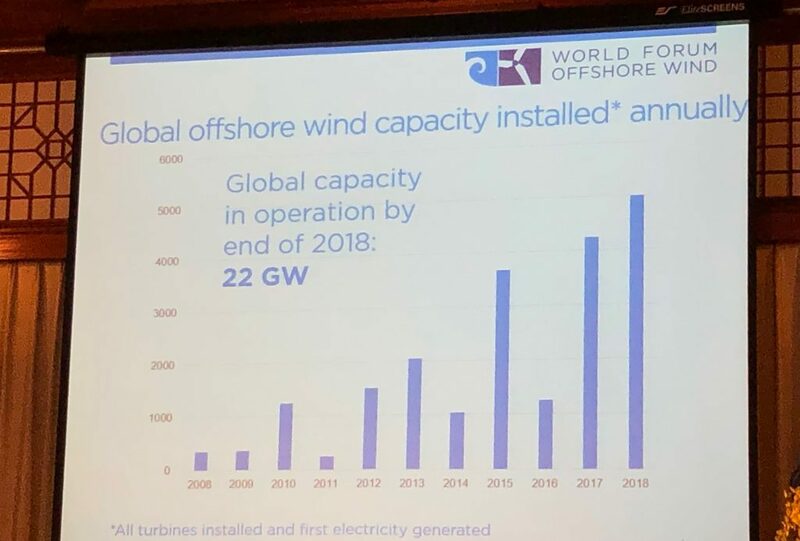 Martin Skiba, chairman of the WFO, predicted robust development of offshore wind power worldwide in coming years, citing maturing technology and declining cost. WFO members have signed up for the "500 by 50" pledge, which Skiba said is attainable, citing a report released by the International Renewable Energy Agency (IRENA). Richard Sandford, superintendent of U.K. wind-power developer innogy, pointed out that thanks to declining cost, people have begun to understand the potential of wind power. Mike Crawley, chief executive of Northland Power, noted that WFO can help members overcome such obstacles as license approval and grid connection, facilitating the development of wind power. Skiba urged Taiwan to overcome the challenges of grid connection and harbor construction via establishment of a complete legal system and concerted effort among the government, industry, and academia. Established in 2018, WFO, headquartered in Germany, is meant to push the development of wind power worldwide and has over 200 members now. No Taiwanese firm has joined the organization yet.